Product prices and availability are accurate as of 2019-04-19 05:23:31 UTC and are subject to change. Any price and availability information displayed on http://www.amazon.com/ at the time of purchase will apply to the purchase of this product. 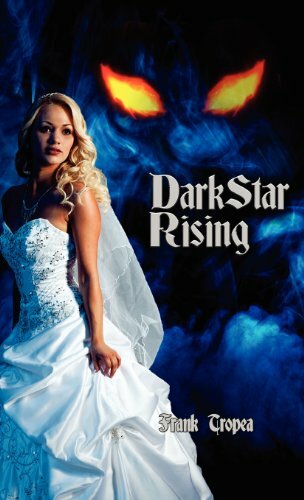 Author Bookstand is proud to offer Dark Star Rising by Bookstand Publishing. Bookstand Publishing offers books by the best indie authors throughout North America and the world. Bookstand Publishing is dedicated to offering original content to a broad audience and promoting great authors, literacy, and freedom of expression. Dark Star Rising has generated a lot of interest and excitement and we think it would be an excellent addition to your library. DARK STAR RISING is a stunning occult thriller of horror and diabolism and of darkness and light. The innocent, blonde, and beautiful Diana leJeune is completely unaware of her unique destiny. For the past five-hundred years, the forces of evil have been engaged in a ruthless breeding program to create a woman who can breed with Satan and give birth to the Antichrist, thereby ushering in a new, Satanic world order. Diana is the result of this diabolical program. After her adoptive parents die in a freak motor vehicle accident, Diana's life begins to change. Only slowly does she begin to realize the sinister and diabolical purpose for which she has been created, guided, and groomed. Can Diana discover the mystery of her birth, and defeat and foil the diabolical plans for her and her offspring? Will she hold onto the God-ordained light within her heart, or succumb to the ineffable darkness all around her? Mankind's fate will rest on her decision.